Jillian rejoined Furnace Brook Physical Therapy as a staff PT in June 2013 after completing her last clinical rotation at the clinic. She graduated from Northeastern University with her Doctorate in Physical Therapy in May 2013. Jillian played club lacrosse while at Northeastern. She loves to snowboard, hike, and listen to live music. Her clinical interests and coursework focus on returning competitive athletes to their sport. 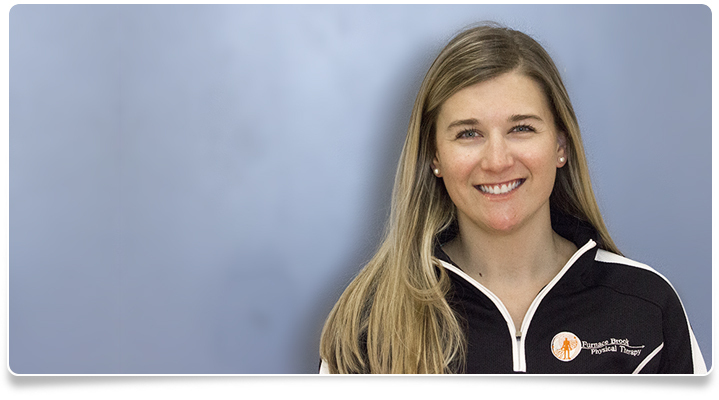 Jill currently serves as the on-site physical therapy consultant for the Eastern Nazarene College Athletics program. Jillian is a member of the American Physical Therapy Association and became a Certified Orthopedic Specialist (OCS) in June, 2017 by passing her board certification exam.